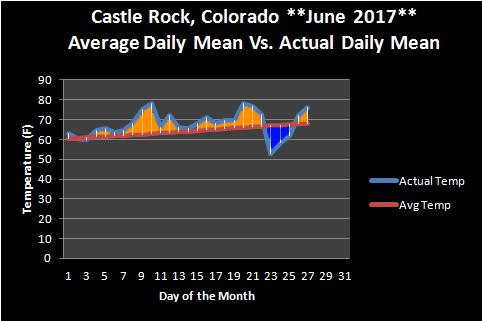 You’ve no doubt noticed the abnormally warm and unusually dry month of June we’ve experienced so far in many places along the front range. Some areas have seen thunderstorms with beneficial rain, but that has been the exception, rather than the norm this month. You can see many of the areas along the front range are in the 1-2 inch below normal range for overall precipitation over the last 30 days. Quite the change from the wet spring we’ve seen! 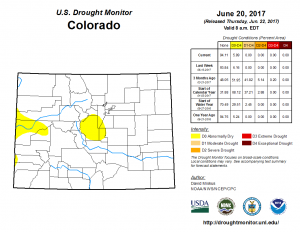 Believe it or not, a wet spring can actually be bad for Colorado if we have a hot dry summer. The added vegetation growth from a cool wet spring can mean added fuel for large fires in the summer if we don’t continue to see consistent rain. 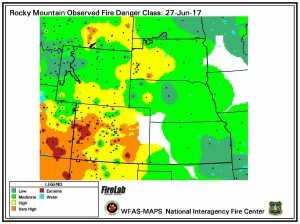 With lack of consistent rain and very warm temperatures across the front range of Colorado, fire danger levels are in the high, to very high category. This means anything that gets started in dry grasses, shrubs or trees has a decent chance of taking off and becoming a big problem. We’re especially concerned about the Western Slope of Colorado, where they’ve experienced record high temperatures and record low amounts of precipitation. Keep this in mind as we head towards the Holiday. 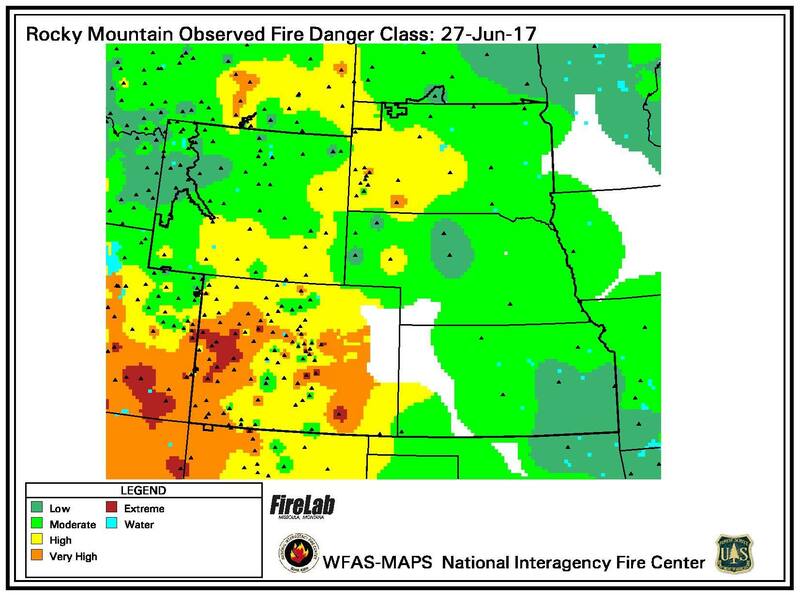 With no considerable moisture expected for the state over the next 7-10 days, the fire danger will remain high to very high for many areas! Are We Back in a Drought? Not exactly, drought is usually considered a more long term designation. I’d call what we are in right now a “abnormally” dry shorter period. That being said, we will have to keep a close eye on July and August. If we fail to see a good monsoon pattern establish we could be heading into fall with re-establishing drought conditions! 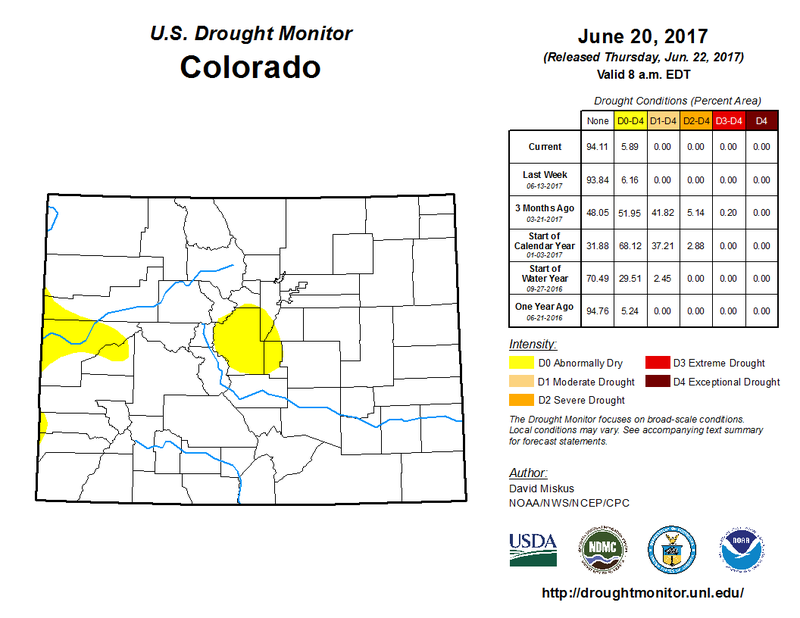 The U.S. Drought Monitor noted, “The sudden end to the wet season, combined with a recent heat wave, has started to dry out the landscape quicker than usual now that the snow has mostly melted.” It is something they will keep a close eye on but, not expecting drought designations for Colorado as of this time. Stay safe this Holiday Weekend! 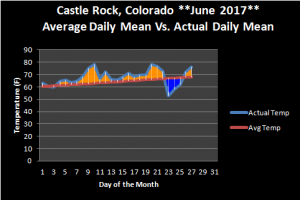 Castle Rock’s Daily Mean Temperatures Through June 27. Temps have been mostly above to well above average!